Ethna Carbery was the pen name used by a 19th century Irish poet and journalist whose short life was ended by illness at the age of 35. Some of her work was set to music by the likes of Ivor Gurney and she collaborated on the production of two Irish Nationalist magazines with her friend Alice Milligan. She was born Anna Johnston on the 3rd December 1866 in Ballymena, County Antrim. He father was a timber merchant by trade but also a prominent Irish Republican in the Fenian movement. She was writing verse from a very young age and had her first piece published at the age of fifteen. She went on to have a number of other pieces of work published in periodicals such as the Nation, Catholic Fireside and United Ireland. The Irish Nationalist cause was very close to her heart and she lectured up and down the country on the subject, along with Alice Milligan and Maud Gonne, the latter being the leader of a revolutionary women’s organisation called Inghinidhe na hÉireann, which translates as “Daughters of Ireland”. With Milligan’s help, she wrote plays to promote the organisation’s cultural activities. The pair were also responsible for The Northern Patriot and The Shan Van Vocht, both well-read nationalist publications which attracted contributions from the likes of Nora Hopper and Katherine Tynan. The latter title has been acknowledged as a major contributory factor to the “Irish Revival” in cultural activities. Alice only started using the pen name Ethna Carbery in 1901 when she married fellow writer and folklorist Séamus MacManus. She explained that she did not wish to write using her now married name as she wanted to avoid being confused with him. Tragically the marriage only lasted a year as Alice fell ill with gastritis and died. Séamus lived for a further 58 years and never re-married. The impact on his life of his wife was so great, and he wrote a memoir in her honour. He published the work of Ethna Carbery in The Four Winds of Erin after her death and this collection was extremely popular. 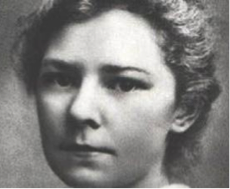 Ethna Carbery was a deeply patriotic individual whose love for all those who had contributed to, and died for, her country was an almost all-consuming passion and this fervour was to be found in much of her work. She wrote fluently, easily and with infectious enthusiasm. Her body of work would, no doubt have been greatly enhanced had she lived a longer life. Ethna Carbery died on the 21st April 1902 at the tragically young age of 35.